Negative News Delivery to a Volunteer Curling: Wow, this is a tough event that takes skill, straight forward delivery, an eye for “spot on” results and messages that stick. Volunteers had to slide their “message stone” onto the button and curl around the “objection stones” in their way. Volunteer Manager Juan deftly took gold by sliding his message stone onto the button (bullseye) when he took an errant volunteer aside and showed her a copy of the policies and procedures manual outlining the reasons she couldn’t accept jewelry from the client. He curled around her “objection stone,” her objection being that “the client insists and I don’t want to seem rude.” His stone was spot on because, when he explained the importance of clear boundaries, the volunteer not only understood the policy without getting angry, she vowed to help educate other volunteers on boundaries. Go Juan! Volunteer Manager Darise took silver when she curled around a teen volunteer’s snide objection stone (“Don’t forget, my mom’s a senior manager!”) and stood her ground, saying, “no, you are not allowed to bring all your friends to hang out here, this is an organization doing meaningful work and we expect everyone to comply.” Darise said that she often practices in the mirror before having difficult conversations. Sure seems like that practice paid off! Avoiding Disruptions and Setting Priorities Giant Slalom: This is an event that rings true for all volunteer managers. Barreling downhill towards a finish line, these Olympians had to get by the gates of distraction. Volunteer Recruitment Snowboarding Halfpipe: This crowd pleasing event shows off volunteer managers’ creativity and flexibility. On the halfpipe of volunteer recruitment, volunteer managers perform their best tricks. The gold went to Volunteer Manager Amir after the judges scored a record 95.7 for his recruitment run. Putting down tricks such as ‘creating a volunteer recruitment task force’ and ‘revamping the organization’s website to include easier access for prospective volunteers’ gave him a solid start. But the biggest cheer was when Amir threw in his signature trick, the “Amir Woo a Volunteer” where he equips staff and volunteers with business cards that read, “We Want You to Volunteer, call this number.” Amir told reporters, “trying new ideas paved the way for my gold medal run. Not everything works, but I’ll try it and see what does.” Thanks Amir, you make me want to try something new! Volunteer Sustainability Ice Dancing: In this visually stunning event, pairs of volunteer managers from unrelated organizations perform a volunteer retention ice dance together to inspire volunteer sustainability. It is the epitome of cooperation and working in unison for volunteer engagement. Two newcomers and this year’s gold medalists, Volunteer Manager Jason and Volunteer Manager Yumiko took the arena by storm when they ice danced to “We Are Family” by Sister Sledge. Jason, who manages volunteers at a museum and Yumiko, who leads volunteers at a woman’s shelter performed a magical twizzle. 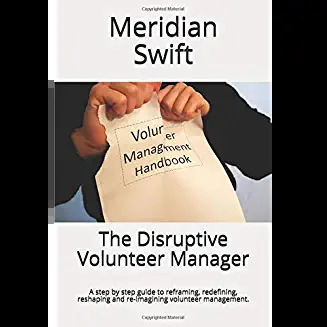 They cooperatively shared volunteers by assessing their volunteers’ talents and referring idle volunteers to each other. They also alternated providing training and continuing education to both groups of volunteers which built a camaraderie and inspired volunteers to help both organizations. Jason and Yumiko received a standing ovation. At the podium, a joyful Yumiko said, “It’s so great to see our volunteers working to help both of our organizations. It makes Jason and I proud when our volunteers get together and share ideas.” Jason agreed as he hugged Yumiko. “We feel it’s about thinking of the volunteers’ needs and not about being selfish.” Congrats Jason and Yumiko, you two are the future of our sport. Wow, I’m hoarse from cheering. What a great representation of our sport, er profession. The future of volunteer engagement is looking bright. Thanks Eileen! 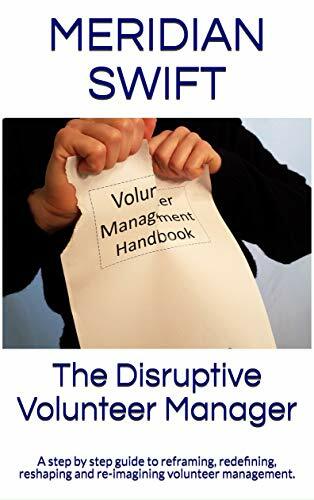 Every day volunteer managers are acheiving innovative and practical solutions while engaging volunteers. Just because there are no medals to win, doesn’t mean that the effort, long hours and dedication isn’t something to celebrate. It is. I concur completely my dear. If we were in it for recognition and appreciation we wouldn’t do it don’t you think? We are all experts at achieving the impossible and juggling multiple balls!